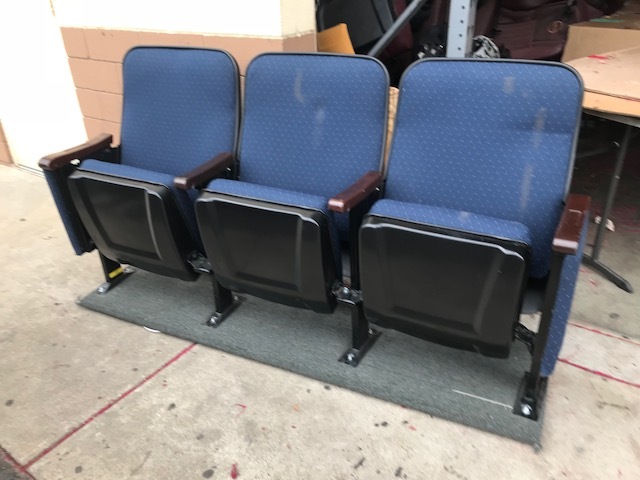 Used Studio Marquee Fixed back theater chairs with NEW upholstery. 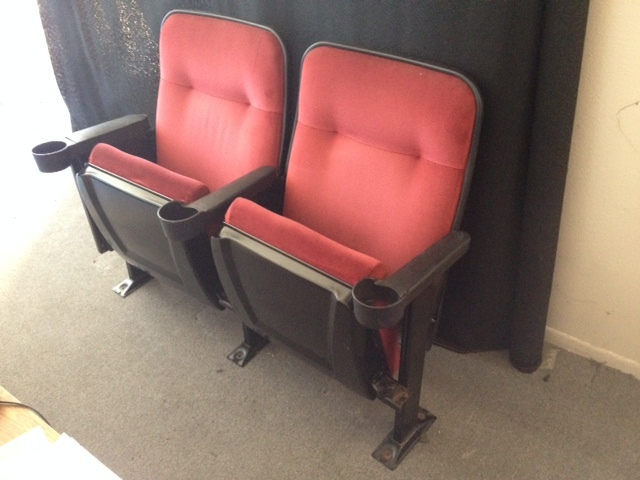 Great for small home theaters (rocker backs take up more room than fixed back chairs). Great for small screening rooms, presentation rooms, TV room seating etc. Many new upholstery colors to choose from! Want new faux black leather? No problem. 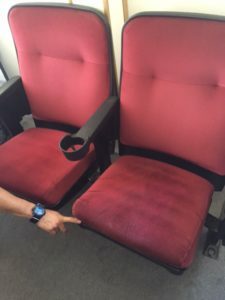 Want new red velvet upholstery? No problem. Name of chair: “Studio Marquee”. 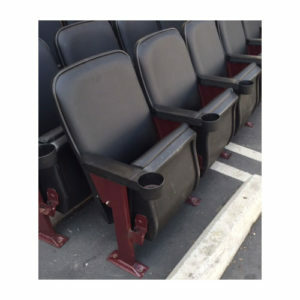 ← Starlite Jewel VIP Theater Seating Rocker Back $275 each.